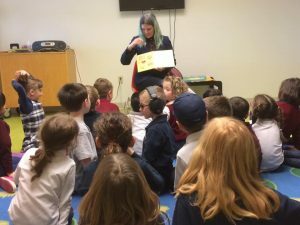 Book Week Photos: All About the Kids! 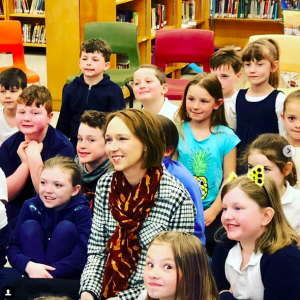 When asked what they’re most looking forward to for Book Week 2018, most of the creators had the same answer: the kids! 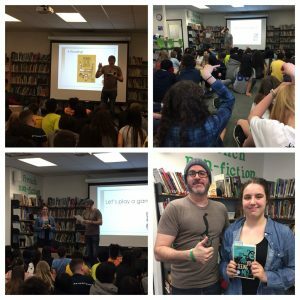 Here are our favourite photos from presentations over Book Week. 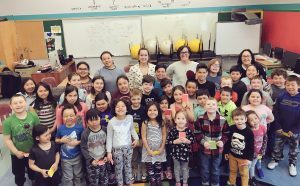 Carey Sookocheff with students at the Nanook School. 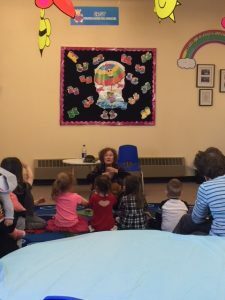 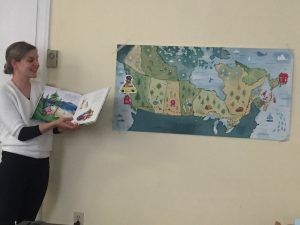 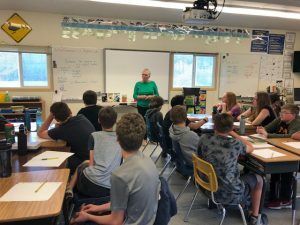 Mariella Bertelli storytelling to children in Labrador. 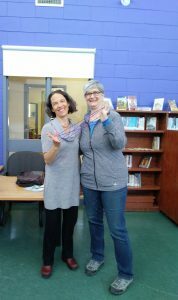 Anne Glover (left) with the strings she uses for storytelling. 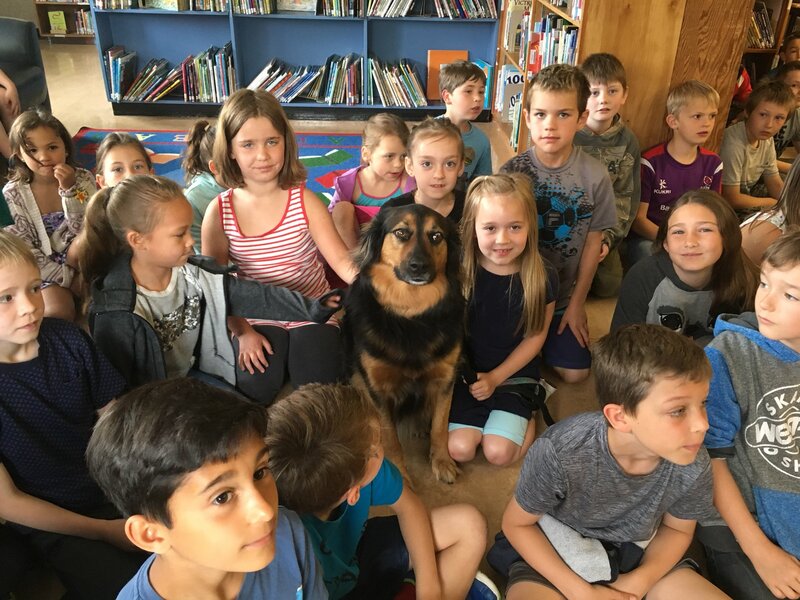 Alice Kuipers’ photo of some eager readers and their dog friend! 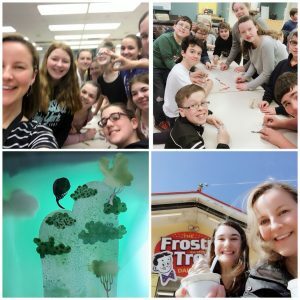 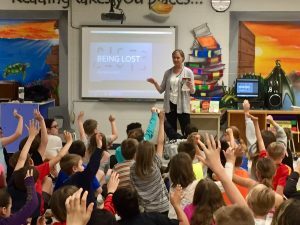 Anna Humphrey and students in Newfoundland. 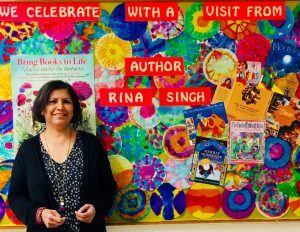 How can you not love this colourful display to welcome Rina Singh? 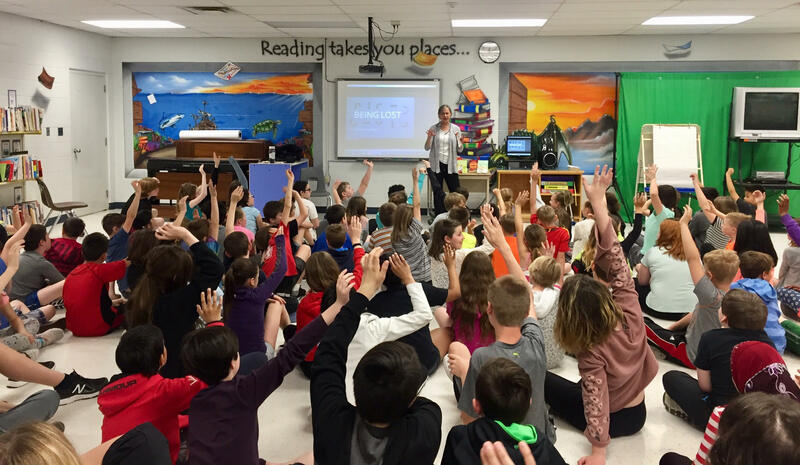 Lori Joy Smith reading to students. 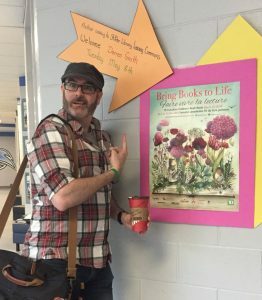 Darren Groth’s welcome sign from students. 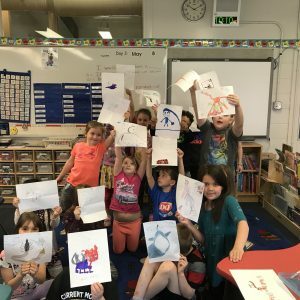 Students with the magical creatures they have drawn based on Vikki Vansickle’s If I Had A Gryphon. 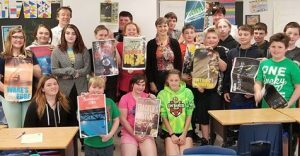 Alison Hughes with students in Sarnia. 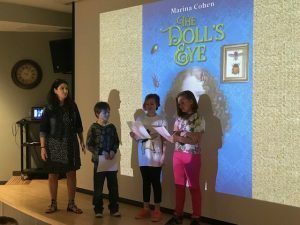 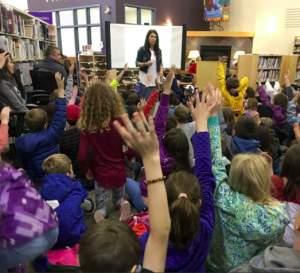 Marina Cohen and students in Alberta. 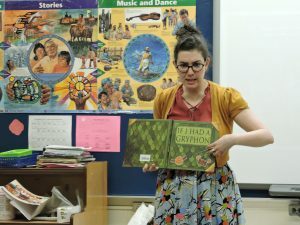 Kass Reich reading to a classroom.